Summary: This sermon deals with making an impression for the glory of God. Jonah had a second chance to make an impact for God. I give 4 key areas that show how to make an impact for God. - This morning I want to talk for a moment on the power of impression. - God used Jonah to make an incredible impact on civilization, a city called Nineveh. - Just like the roman government wanted to make an impression on the minds of many Jewish families, so God desires to use us to make an impact on society. - This was Jonah’s second chance as he fled from his first calling when he went to Tarsus. - Now after being in the belly of a fish for 3 days, the calling sunk in and now he was ready to listen. 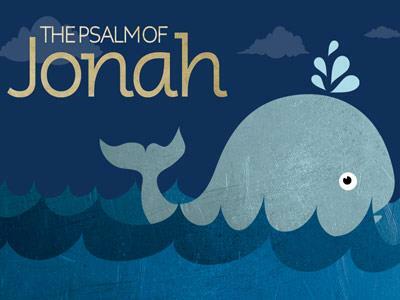 - In the 10 verses we read this morning, I see four ways in which God uses Jonah to make an impact. - It’s our responsibility as the church to proclaim the message found in the Bible. - God considers it beautiful beyond description when the church understands the blessing of bringing the message to people who never heard, at any cost. - God wanted Jonah to bring the message to the people of Nineveh because they were ready to accept God as there Lord. - Maybe you know someone who is so close to accepting Christ, that all they need is someone to go to them and bring them the gospel in an understandable way. - We do that by proclaiming what we know and what God gave us for that person. - Don’t proclaim something you don’t know nothing about. - I did that about 13 years ago to a group of Jehovah Witnesses. - I thought I was going to help them understand the Bible, but it turned out that I knew nothing to give them. - It turned out that after the conversation, they ended up with the upper hand with understanding. - I went back to the drawing board and learned about there religion and where they were coming from. - When the opportunity came again, I was prepare and was able to share with them the gospel in an understandable way. - It’s God’s responsibility for His Word to go and touch the nations when preached and delivered. - The word has the power to heal, set free, save and deliver any life. - The church is a great spot to hear the Word of the Lord, but people have it in there minds that church is dull, boring and lifeless. - We don’t expect anyone from outside the church to come in and receive Christ, nor do we expect to meet us in our hour of need. - Could it be that the church has made it that way? - Meaning the church has made the Word and it’s proclamation lifeless and dull. There is the story that Erma Bombeck tells about a little boy at church with his mother. He was a good little boy, quiet & well behaved. He didn’t cause any problems. But every once in a while he would stand up in the pew, turn around, look at the people behind him & smile at them. His smile was infectious, & soon everybody behind him was starting to smile back at him, too. It was all going fine until the mother realized what the little boy was doing. When she did, she grabbed him by his ear & twisted it a bit, told him to sit down & remember that he was in church. This sermon deals with making an impression for the glory of God. Jonah had a second chance to make an impact for God. I give 4 key areas that show how to make an impact for God.